7 Reasons the Name YEHOVAH Is a Counterfeit! Romans 14:5 - Now We Can Worship on Sunday? Galatians 4:10 ABOLISHING the Sabbaths and Feasts? Colossians 2:16 - Legalism in the New Testament? SABBATH - Sunday or Saturday? I really enjoy a lot of the topics most of which i never been taught ,we where told to worship on sunday and now i know it was wrong, i have been learning a lot with you.thank you. 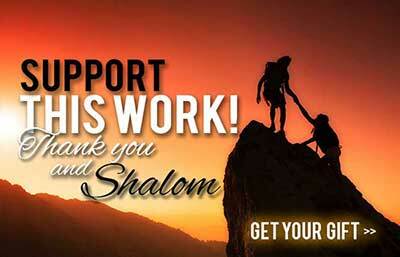 Randy,Allen,Lukeus, Debra and all the people of Yahweh ministry, I thank you for all your hard work. In getting the real truth out to the people. 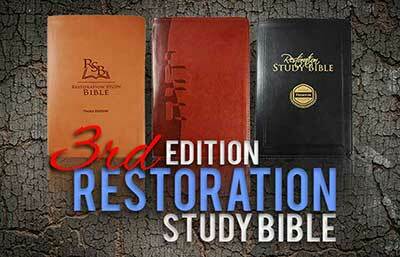 I have learned so much especially with my new YRM study Bible. Randy I laughed when you said the word most Bible believers. Some people like to argue and defend the lie. No matter how good of facts you have some people will argue. Of course we give Yahweh thanks first and for most. Keep up the GREAT WORK may Yahweh bless you. Love Timothy the homeless man. Blessings to you Timothy! We hope to hear from you again soon! Paul was a master of unclear writing. Most likely the majority of weird religious ideas come from interpretations of Paul’s writing. Paul is most likely the only Biblical writer mentioned in the Bible as an unclear (hard to understand) writer. It’s a good thing Paul didn’t write product manuals. Nobody would be able to get their TV or toaster to work. If you read Exodus 12 you will notice that non-Jews were not allowed to celebrate Passover unless they were circumcised and converted to Judaism. This is clear. I’ve been looking for a study aid that explains Daniel 8:26 , about the vision of the evening and the morning. ; The seventy sevens prophecy in chapter 9; And the warring of the north and south Kings. Do you have such a book? I am sorry to say I do not believe we do. What was before chaos? Was angelic beings living and following Law of Yahweh. And then lucifer think a sinful idea that separates angels between angel and demons. Ending up creation from chaotic mass. Yahweh creat Adam on His image and plan to enter him in His eternity. In eternity he will be more like angels even ranked above them. So all plan is to restore universe that was polluted by sinful thought of lucifer so that again Yahweh and his followers dewel together. Am I right?